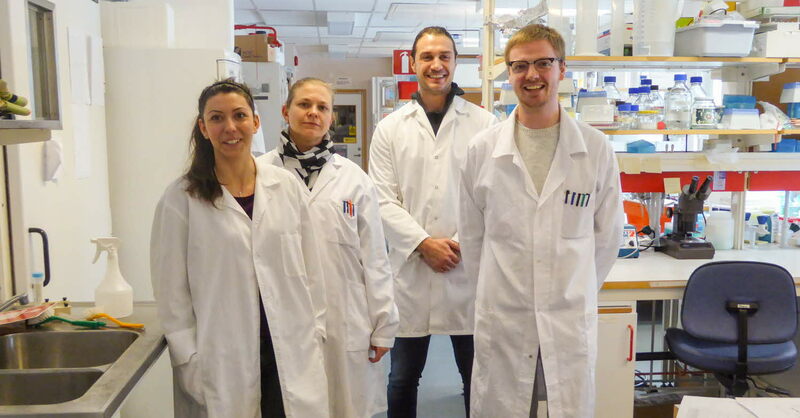 In the Bioactive Polymers Laboratory research group, we are interested in various aspects of bioactive polymers – peptide discovery, synthesis, structures, activities and mechanisms of action, as well as development of applications. Our present work in the Bioactive Polymers Laboratory (BPL) research group focuses on three main project areas. 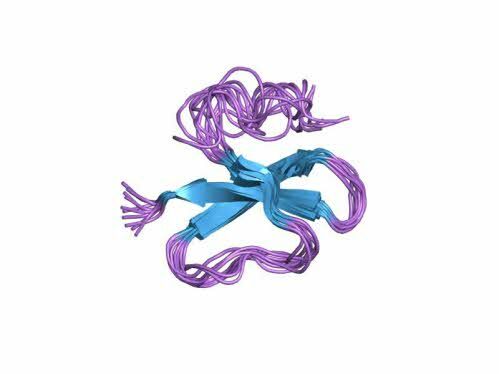 Peptide toxin exploration – mainly the elaboration of neuroactive peptides recently discovered in ribbon worms. Peptides at cell surfaces – structure-function variation among avian beta-defensins (AvDBs). Polymer-based applications – the development of molecular recognition-based applications. The principal methods employed in our laboratory are solid-phase peptide synthesis (Fmoc), preparative and analytical HPLC, analytical LC-MS and bioassays. Other important methods include NMR and in silico modeling for structure elucidation, as well as bioinformatic analyses, by the help of our collaborators. 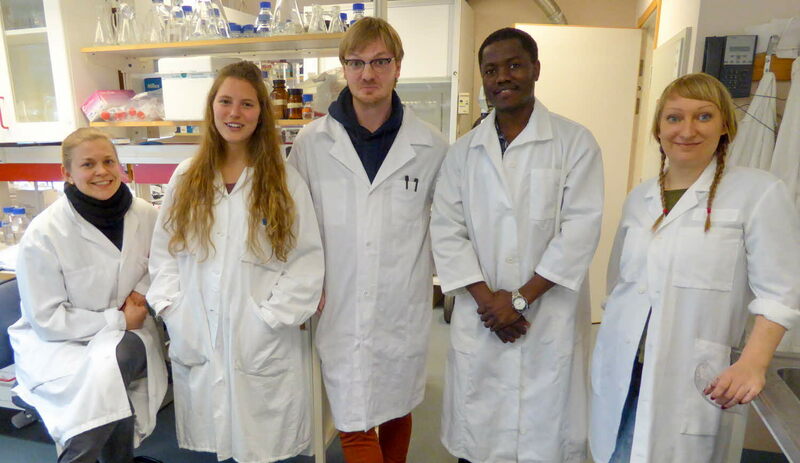 The Bioactive Polymers Laboratory is part of the Department of Chemistry and Biomedical Sciences and Linnaeus University Centre for Biomaterials Chemistry. Our principal project within this field is a multi-site collaboration involving mainly Uppsala University, the Sven Lovén Centre for Marine Sciences (University of Gothenburg), and University of Queensland, Brisbane, Australia. It involves further exploration of a novel class of extremely potent peptide toxins that we discovered in the epidermal mucus of Lineus longissimus, the bootlace worm. This marine worm belongs to the nemertea (ribbon worms) phylum. Most of the ~1,400 nemertean species are found in marine environments, and around 70 have been found in Swedish waters. They are predators, capturing their prey using a proboscis, similar to that used by cone snails. The proboscis is loaded with toxins and/or lytic enzymes. Some species have a proboscis armed with a stylet, which is used to puncture their prey. The toxins were found to act on voltage-gated sodium channels, and are in fact the most potent compounds with this type of activity ever to have been discovered in the Swedish fauna, as far as is known by us. 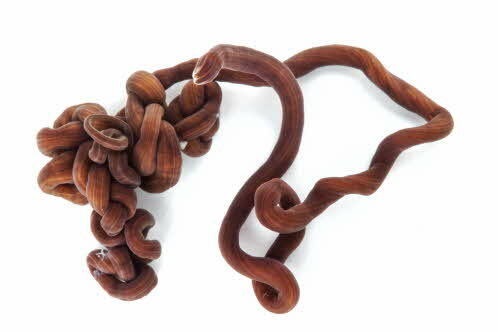 Lineus longissimus, the bootlace worm, may not look so spectacular, but one specimen was found to stretch out over 55 metres, making it the longest animal in the world. We are currently pursuing a study aiming to map the occurrence of these peptide toxins in the ribbon worms. This work involves parallel efforts, where molecular biology techniques are combined with proteomic approaches (LC-MS, MS/MS, enzymatic digestion, derivatization) to identify and sequence peptides of similar constitution to these peptides or to known toxins. New peptide toxins are synthesied in vitro, followed by structure evaluation, activity assessment and mechanistic studies. BPL is heavily involved in peptide synthesis, purification and activity evaluation. Movie: A bootlace worm preying on a polychaete. This project focuses on the functional modes of a type of antimicrobial peptides that make up part of the immune system. Such so-called defensins can be found in both vertebrate and invertebrate animals, and function as a first line of defense. They are quite small, in the range 18-50 amino acids, and typically cationic and cysteine-rich, and a main function is lysis of bacterial cell membranes. We focus on avian beta-defensins (AvBDs) in the mallard duck. It has been found that, with few exceptions, there is very little genetic variation in these defensins. We try to elucidate the functional role of the variation that does exist. This is achieved via peptide folding studies and antimicrobial testing of a selection of AvBDs. We also try to elucidate the biochemical mechanism underlying cell lysis by AvBDs. 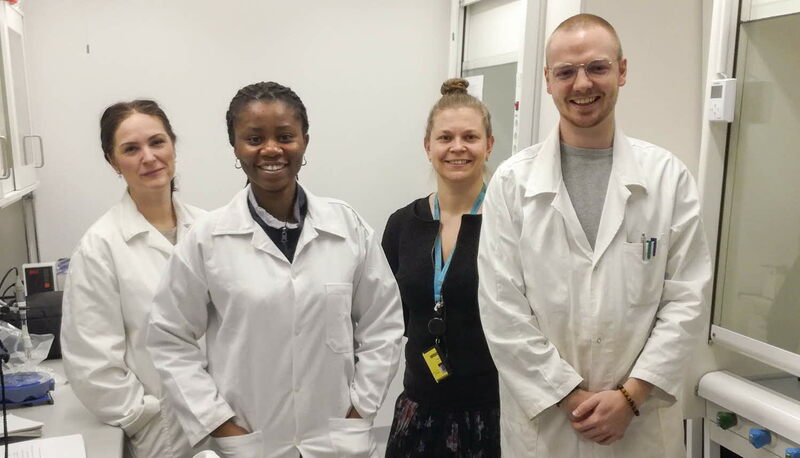 Our project is part of a larger endeavour within the Zoonotic Ecology and Epidemiology research group at the Linnaeus University Centre for Ecology and Evolution in Microbial model Systems. Over the years, we have placed much effort into the development and evaluation of novel polymer based molecular recognition systems, with the long-end goal to incorporate these as functional components in sensor, nanoscale fabrication and purification applications. Whereas previous efforts have largely been limited to synthetic polymers, we are now aiming to expand our concept to biopolymer systems. At the moment, however, activity within BPL in this area is low. While clearly outside the scope of the BPL focus, it deserves to be mentioned that over the years, Håkan Andersson has been involved in a few research projects within the area of human nutrition, involving the study of nutritional needs of elderly, and the study of dietary habits of students. Much of this work comes as a byproduct of teaching, within a number of nutrition oriented courses. Are you interested in pursuing a degree project (MSc or BSc) with us? Contact Håkan Andersson, team leader.